Click on the logo to read our testimonials. 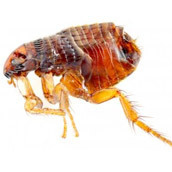 Active Pest Solutions have extensive experience of pest control in Fife, Perth, Kinross, Edinburgh and further afield. Our pest control expert, Derek Goodwin, began his career in 2000, when he joined a local pest control company. 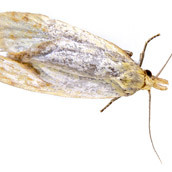 He learned pest control techniques and attended professional pest control training events and courses to gain the knowledge and skills required to deal with pest problems quickly, safely and effectively. 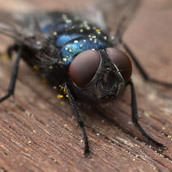 In 2002, Derek set up Active Pest Solutions to provide pest control services throughout Central Scotland, and he now has an outstanding track record as an effective pest controller in Fife, Perthshire, Kinross-shire as well as in Edinburgh, Alloa and many other cities, towns and villages. Looking for rodent control, mole control, squirrel control or pest bird control? 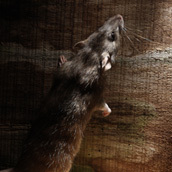 Worried about rats or mice in your attic, office, garage or farm buildings? We can help! 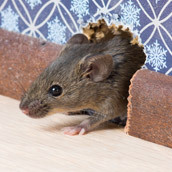 As rodent control specialists, we have dealt effectively with thousands of problems with rats and mice over the years in domestic, business and agricultural situations across Central Scotland. Are unsightly brown mounds of soil spoiling the surface of your lawn or bowling green? No problem. Mole control is another of the areas in which we specialise, quickly eradicating such issues in gardens, large open fields, sports pitches, golf courses and playing areas. 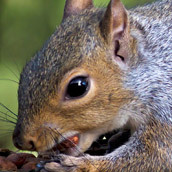 Is your bird table being terrorised by grey squirrels? Not for long. Squirrel control forms a regular part of our workload, and we guarantee to eradicate the problem every time. 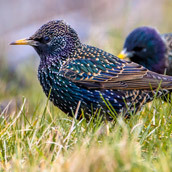 We also use bird control and bird-proofing techniques to successfully control pest birds in a variety of situations and against a range of different types of birds. Having problems with wasps, ants and other insects? Worried about getting stung in your garden or at work? 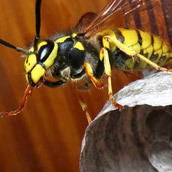 Wasp nest eradication is guaranteed every time, and at the most competitive price you will find in Central Scotland. If you live in an area with sandy soil, ants may also be a serious nuisance in your home, garden or business premises. 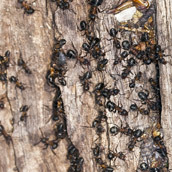 Active Pest Solutions have successfully controlled ant infestations in hundreds of different domestic and commercial situations using our proven ant control programmes. Friendly, reliable, knowledgeable, efficient cost effective. Now on contract for regular annual support. Derek was very pleasant, polite and he explained what he was doing and what would happen. He put down traps and we spots. My house was ant free by the next morning. An excellent job, by a very nice man. Thank you Derek. Active pest solutions did a great job of something I know nothing about. I was well informed. Derek was friendly and helpful and so far we have no repeat problem. We are a happy customer. Derek from Active Pest Solutions was prompt, professional and no-nonsense. I found him to be reliable and trustworthy. Agent was totally professional and effective. We were most impressed. Derek came within ½ hour of my phone call. Problem was dealt with in a short time and he assured me that if there was still problem in the next few days he would return and repeat the treatment (at no cost). Quick and efficient service. I was given advice and follow up instructions. Time spent answering my questions. The service provided is not finite, but has always been successful and has been for as long & time as required and promptly given.